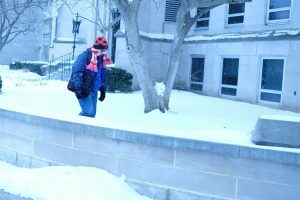 Seniors Brooke Bisping and Katie Yohn were only freshmen the last time Bradley women’s basketball team avoided the play-in round of the Missouri Valley Conference Tournament during the 2009-10 season. 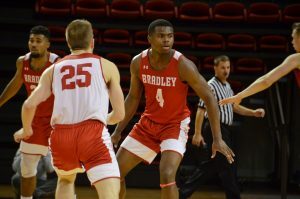 As their careers come full circle and their final season playing for Bradley is winding down, the two seniors saved some of their best basketball for last. 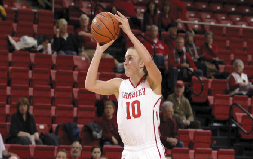 Yohn scored a team-high 23 points to go along with six rebounds and seven steals on her birthday in Bradley’s 77-61 win against Southern Illinois Friday. She added another team-high 21 points and seven rebounds while Bisping matched a season-high with 12 points and she added six rebounds in Sunday’s 73-57 victory versus Evansville. 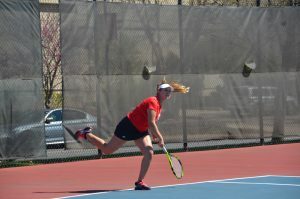 Yohn was named the Missouri Valley Conference Player of the Week Monday. 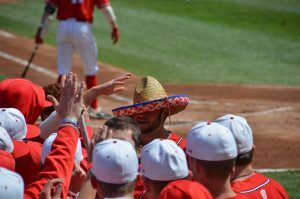 Bradley moved into sole possession of sixth place in the conference standings, and with a home win this week, they can avoid the MVC Tournament play-in round for the first time since that 2009-10 season. In Friday’s win against the Salukis, sophomores Shronda Butts and Michelle Young finished with 16 and 10 points, respectively. Sunday, the Braves opened the game with a 12-0 lead and never looked back. In the past three games, Bisping has averaged 10 points, which is nearly double her season average. 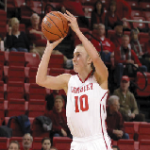 Young also extended her career-long four game streak of double-digit point totals. The Braves will complete their regular season at 2 p.m. Saturday in the arena against Indiana State.